Over the past decade, our team at College Transitions has helped to guide hundreds of aspiring physicians toward undergraduate colleges and universities that will serve as ideal springboards into medical school. How (and in some cases where) you spend those four years will play a significant role in whether you are ultimately able to earn a spot in a school of medicine. Acceptance rates at medical schools are universally low—even outside of the country’s top programs. While Stanford’s 2% acceptance rate or Johns Hopkins’ 5% mark may come as little surprise, non-elite medical institutions like Wayne State, the University of Oklahoma, and the University of Cincinnati also sport single-digit admission rates. Do I need to attend a prestigious undergraduate school? While institutional selectivity does play a role in the medical school admission process, more important will be your grades and standardized test scores. Therefore, choose an undergraduate school that is sufficiently selective and one that enables you to achieve a high GPA during your undergraduate career as well as successfully prepare for the MCAT. The average MCAT score for admitted applicants at Johns Hopkins was in the 99th percentile. Some of those individuals attended Ivy League colleges while others graduated from less selective institutions. The highly-respected Albert Einstein College of Medicine, for example, accepted students from schools such as Bloomsburg University, The College of New Jersey, and Bowling Green State University into their class of 2022. In certain cases, such as at Duke University, the affiliated medical school does give preference to their own undergrads, in part because they have an intimate familiarity with the rigor of the program. Selecting a school with ample research opportunities for undergraduates can also be advantageous. Be forewarned, however, that schools with the most state-of-the-art and expensive laboratories are not necessarily the places that let undergrads get hands-on with equipment. Many leading research universities reserve those opportunities only for graduate students while smaller liberal arts institutions actually let students get their hands dirty in a laboratory. Should I be a pre-med major? This may come as a surprise, but the average MCAT score of those who majored in the biological sciences is nearly identical to those of humanities, math, or social science majors. In fact, in 2018, humanities majors possessed slightly higher average MCAT scores than those who studied biology. Translation: You are genuinely free to pursue any academic major on the road to med school. That being said, if you choose to pursue your dream of majoring in a foreign language, there will be a laundry list of prerequisites that you will have to squeeze into your academic schedule. Most medical schools require two to four semesters of biology, two semesters of both organic and inorganic chemistry, physics, and math (including calculus). If you can balance a non-pre-med major and these demanding courses, go for it. If you start accidentally labeling hydrolytic enzymes in French on your biology final, it may be time to consider a more focused course of study. 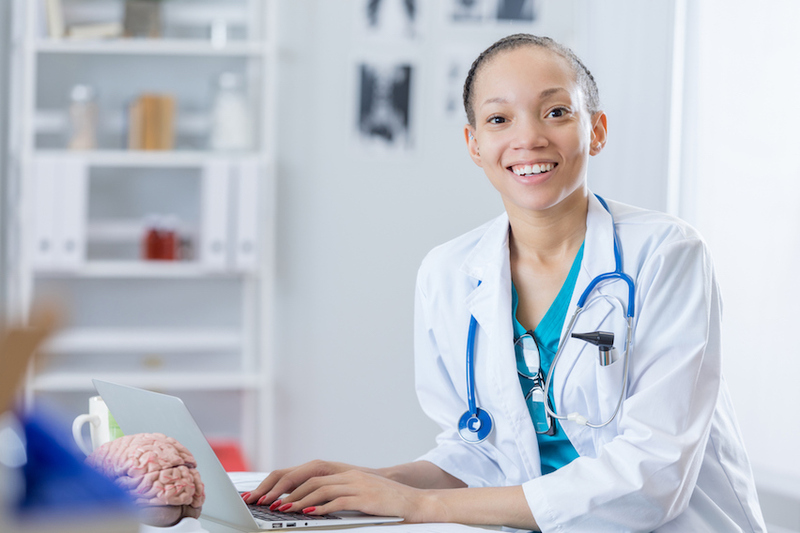 If, at 18 years old, you are 100% committed to becoming a medical doctor you might want to consider applying to a joint BA/MD or BS/MD program. Presently, 57 institutions in the United States offer such courses of study, which not only expedite one’s academic path but also allow students to forgo the stress traditional med school admissions process. At George Washington University, admitted students take three years of required courses including pre-med prerequisites before beginning their medical studies in year four. As long as a 3.5 GPA is maintained through the first years of study, no grades in science courses are below a ‘C’, and the student is recommended by a special committee, their streamlined, MCAT-free admission to medical school is a go. For a full list of universities offering BA/MD or BS/MD programs visit our Dataverse page. Not only will gaining experience is the field help you decide if a medical career is right for you, it will help you build a resume demonstrating passion and lifetime commitment to the profession. Almost half of those admitted to the nation’s top medical schools took a so-called “gap year.” This time can be used to volunteer in a hospital, a clinic, shadow a physician, or to participate in a formal gap-year program. A sizable 86% of medical students emerge from school with debt to their name. As of 2018, the median debt-load is a whopping $190,000; one quarter of graduates carry debts in excess of $200,000. The good news is that, unlike with law school, just about everyone who makes it through med school will end up with a six-figure career, yet doctors’ salaries vary greatly by specialty area. While primary care physicians bring home an average of $207,000, cardiologists and orthopedic surgeons make more than twice that amount, earning an average of $410,000 and $440,000 respectively. It’s important to remember that becoming a medical doctor can involve up to 14 years of higher education, meaning that you will be missing out on as many as ten post-undergrad, income generating years. While this represents a pretty significant opportunity cost, those with a burning desire to join the medical field will find the rewards well worth the sacrifice. If your aim is to attend one of the top medical schools in the country, you should know which undergraduate institutions send the most students to elite institutions such as Columbia, Duke, Harvard, Johns Hopkins, Stanford, University of California—San Francisco, University of Chicago, Penn, Washington University, and Yale. As chronicled above, you do not need to attend a prestigious undergraduate college in order to gain acceptance into a top-tier medical school but there are particular schools that send a high number of students to these feeder institutions and they can be viewed in our Dataverse. While there are many academic pathways into medical school including the humanities and social sciences, we wanted to highlight some of College Transitions’ top schools for a number of traditional math/science majors that prepare students for the MCATs and medical school acceptance.